R37/38-41: Irritating to respiratory system and skin. Risk of serious damage to eyes. Lanthanons can cause delayed blood clotting leading to hemorrhages. Exposure may also lead to sensitivity to heat, itching, increased awareness of odor and taste, and liver damage. 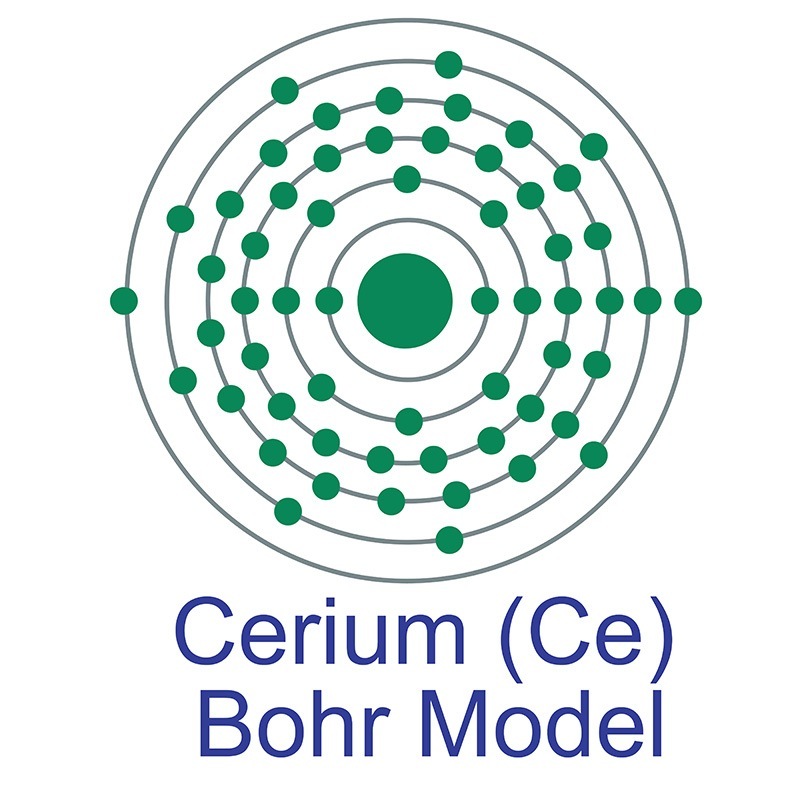 Cerium Acetate (Cerium(III) Acetate Hydrate) is a moderately water soluble crystalline Cerium source that decomposes to Cerium oxide on heating. It is generally immediately available in most volumes. We also produce Cerium Acetate Solution. American Elements produces to many standard grades when applicable, including Mil Spec (military grade); ACS, Reagent and Technical Grade; Food, Agricultural and Pharmaceutical Grade; Optical Grade, USP and EP/BP (European Pharmacopoeia/British Pharmacopoeia)and follows applicable ASTM testing standards. Typical and custom packaging is available. Additional technical, research and safety (MSDS) information is available as is a Reference Calculator for converting relevant units of measurement. Effect of cobalt loading on the solid state properties and ethyl acetate oxidation performance of cobalt-cerium mixed oxides. Formation of δ-Lactones with anti-Baeyer-Villiger Regiochemistry - Investigations into the Mechanism of the Cerium-Catalyzed Aerobic Coupling of β-Oxoesters with Enol Acetates. Nutritional quality assessment of tomato fruits after exposure to uncoated and citric acid coated cerium oxide nanoparticles, bulk cerium oxide, cerium acetate and citric acid. Preparation of Chitosan-grafted-Polyvinyl acetate Metal Nanocomposite for producing Multifunctional Textile Cotton Fabrics.